Here is the pin configuration on the Omron side. It is NOT IBM standard. Default baud rate is 9600,E,7,2 for CP1E. @gtsuport i am currently following this diagram as suggested by the Schneider support. Correct me if I am wrong but the PT communication should be between Omron HMI-Omron PLC right? @Jay Anthony is it a must to use the default baud rate? Because I am comparing my current settings with the old machine and saw that they used 115200, 8.2.N as their settings. Then you need to change the settings on the CP1E PLC to 115200, 8.2.N to match your HMI. The cable above is correct. I already set the format in the PLC & HMI to be same as mentioned before. However, the HMI seems to not communicate well with the PLC. I tried to created a dummy switch with the address set in PLC. However, there is no reaction at all from the PLC/Ladder diagram even after I tried to press the dummy switch. Moreover, the Comm lights and PHPRL lights on the CP1E keeps on blinking after I press the switch. 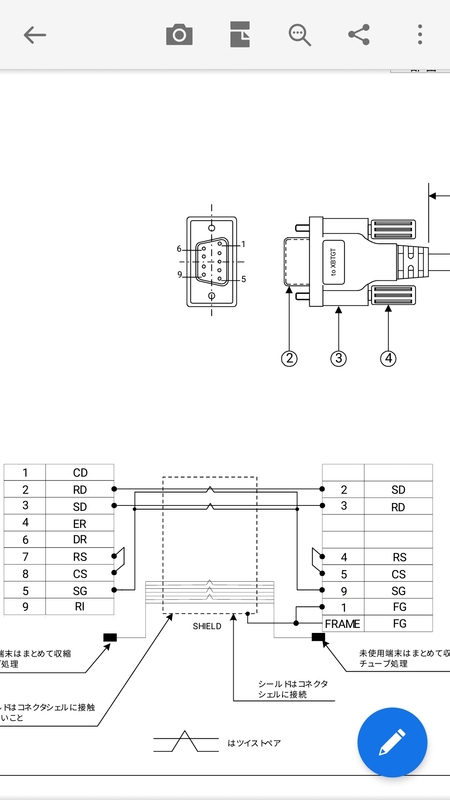 Thus, I am a bit confused either my HMIGXU3512 actually have a correct serial communication or not with the CP1E. 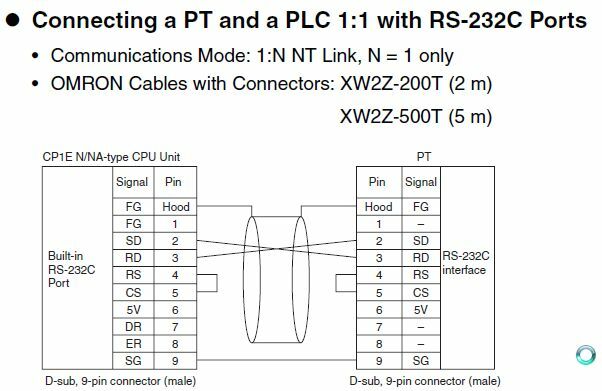 Change the PLC Serial Port to Mode Host Link. You may have to change the End Code to CR, LF. gtsupport is absolutely correct. Set the mode to Hostlink. Will try to change the settings and see how it goes. Thanks for the helps. Really appreciate it. @gtsuport @Jay Anthony Cheers for the help guys. Already make a connection between both of HMI and PLC. Thanks again!